"cryptopia one of the most simple to use exchange"
"perfect exchange for small coins"
the problems that I solve are that since there are a lot of small coins that are not recognized by the big exchanges, I can market them and get some profit from them. They might phase out a coin you use on a whim and youll have to then transfer or sell it. They have good security measures and it looks like the refreshed the site a lot which shows the support they have behind it. Back when Bitcoin was higher it was a bit more to send it and a certain amount needed but that was probably the market in some part. A good place to trade coins and does not require anything specific other than an email and password to start. Plus the coins /currency like any other site. Cryptopia lists very new or not yet mainstream coins giving you the opportunity to find undiscovered projects with high potential. This is also a high risk but high reward strategy. There are a lot of exchanges with much better user experience and charting tools available. You can find undiscovered coins here but beware that the user interface and tools available are much better on other exchanges. If you are willing to take the risk and do research on coins listed here, you can potentially find projects very early on, before they become popular. For a high risk trader, you can find undiscovered potential gems here. Just beware of the risk because it is not a guarantee that a coin will be successful. "Very slow on mobile devices"
Cryptopia provides a very intuitive mobile web interface with clear tabs for various markets that it offers (BTC, USDT, NZDT, LTC, DOGE). The exchange enables two-factor authentication during registration, which is a great for security. Certain coins (like TrumpCoin 😂) are listed on Cryptopia but not on other major exchanges such as Coinbase, Bittrex, Binance, etc. Strange, but it simply means more opportunities for casual traders. Cryptopia is very slow on mobile devices. Charts take a while to load on mobile. Deposit fees are relatively high and could reach $500 in some cases. Given the risk factor of trading on Cryptopia, volume ia relatively low compared to other major exchanges. I was one of the victims of stolen funds on the platform on February 2018 and it couldn't be recovered because there was no logs of the transaction. So I lost some money. 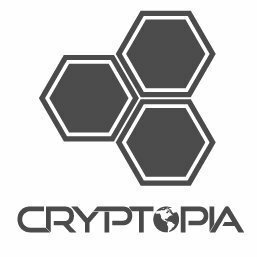 "Cryptopia is a niche exchange for those that are searching for those unknown altcoins." The greatest thing about Cryptopia has to be its coin pool. When you go on it and search through the pairings, you can scroll down for a while and still have tons left to go through. Its very likely you won't even know most of the coins that are on the platform. That is good because it means its a place that certain people can go too for extremely lesser known coins. The interface of Cryptopia just looks extremely confusing. The actual trading zone is pretty weird because the sell orders and buy orders are displayed in a list format that is just straight text so it is very weird to look at. An extreme downside of the exchange is the lack of volume on it as well which doesn't help the sell order/ buy order case either as it can be harder to trade when few are on the platform to fill orders. Cryptopia allows for people to buy coins they wouldn't anywhere else.
" An incredible platform for trading cryptocurrencies"
"2.5 years of trading in Cryptopia - i'm pretty satisfied, Cryptopia is very good for "mid-traders""
I like the Top Markets window (exchange page) - it is very nice to stay updated about the cryptocurrencies with the highest volume/% change, sometimes i consider investing in these markets. This platform is offering big amount of cryptocurrencies, i really like i have the option to move my tradings between different crypto assets everyday and even stay updated with the new crypto coins/tokens. The new design of Cryptopia looks more professional and attractive than the old gray design. In some of the cryptocurrencies, you can withdraw only in rounded amounts - so if i have not rounded amount - i must buy more/convert another coin to this currency to get a rounded number (like the Neo currency). Cryptopia doesn't have a mobile application. Like i said in the title - Cryptopia platform is very good for "mid-traders", i mean that i would recommend using this platform to a friend/business colleague that has an experience as a trader for several months at least, but on the other hand, there is more professional crypto trade platforms for really expert traders. If you are a daily trader - do not be fixed on specific assets, cryptopia platform exposes you to lots of crypto assets that is not offered in other exchanges all together. I trade in Cryptopia as a platform with big amount of different currencies, this is really convinient that it has most of the crypto assets in the market in one place. I also use it as a wallet cryptocurrencies that's not offered in other crypto exchanges. Cryptopia also offer Featured Markets section - it contains information about new promissing cryptocurrencies/crypto projects that got into the market. We are using this feature to learn about these crypto assets and future projects in the crypto market. Cryptopia has a standard exchange interface. It features a graph that allows you to easily switch between candlesticks for price and volume, an order book/depth chart, and a distribution chart. For anyone looking for low rates, the New Zealand is an option. Its rate is only 0.2% on each transaction, one-fifth of Coinbase's base rate. It handles over 400 different crypto coins in addition to Bitcoin, but unfortunately does not support traditional coin operations. Cryptopia is a great exchange for anyone wanting to trade less popular altcoins or casual traders that put great value into social interaction. For the big players there are better alternatives and, if you are an Ethereum enthusiast simply stay away from this place. "Functional exchange with plenty of alt-coin options"
There is a wide variety of alt-coins some of which are not available on other major exchanges. There are some interesting markets, such as Dodge and NZDT which are unavailable on other exchanges. The arbitrage tool is useful for spotting opportunities to capitalise on price differences between exchanges. The interface is a bit confusing with little consideration for visual hierarchy, in this regard it can be confusing for beginners. What I like best about this site is the layout. It is very convenient to follow and understand. I used this ICO when I was fairly new to cryptocurrency trading. The layout here was easier for me to follow versus other sites at that time, such as Binance. Great exchange for new users interested in exploring alt coins not offered on many other exchanges. However, do your research on specific alt coins offered as you're responsible for your investment and try to figure out reasons as to why the alt coins here are not offered on other exchanges. I was interested in looking at different alt coins like Doge coin and others that were not easily found on popular exchange like Coinbase. Cryptopia was able to offer me a wide range of choices. However, one needs to be wary as not all offers are legit. One of the things that help to make them better then other online trading platforms is the amount of pairs they offer for trading crypto. Makes it easier to arbitrage and make a quick buck. My biggest peeve with cryptopia is there level of support. I struggle to be able to reach any person for days on end. Not a good thing when you forget your password and get locked out. Be sure to check out other exchanges and compare the fees based on the volume that you think you will be trading. Helps to be able to trade cryptocurrency and be able to buy into a lot of coins quickly and easily. We have been able to go and make a good bit of money in a quick amount of time by buying small coins that were not available on other coin exchanges. Then when those coins would appear on other exchanges. the price would rise and we would be the winners. The exchange has all new coins to be traded and is very easy to use. It has good trading pairs which we can trade with. The coins which are not available in other exchanges are available on this exchange. It is very user-friendly and the best thing is very safe to do transactions. just access the account and get the real-time value of the cryptocurrency, We can use easily apply for payment and get status in one go or one touch. The thing I genuinely dislike the most is their customer service might be improved a bit. also, that digital market needs responsive nature or transparency. It helps users to know the benefits of digital currency and help them you invest in the right direction. "My feedback on Cryptopia "
"Website looks and feels bad and not trustworthy "
"The most comprehensive crypto exchange platform out there"
* We monitor all Cryptopia reviews to prevent fraudulent reviews and keep review quality high. We do not post reviews by company employees or direct competitors. Validated reviews require the user to submit a screenshot of the product containing their user ID, in order to verify a user is an actual user of the product. Hi there! Are you looking to implement a solution like Cryptopia?